Dr. Sunny Im-Wang is a pediatric psychologist with a dual credential as a school psychologist, who has been active as a clinician, researcher, consultant, lecturer, author, and workshop facilitator for nearly two decades. Her fields of expertise include child neuropsychology, health psychology, and school psychology. Her training and experience have established her as an authority on the topic of children’s behavior and development, including learning process, cognitive development, and solution-focused approaches in treatment, educational programs, and interventions. 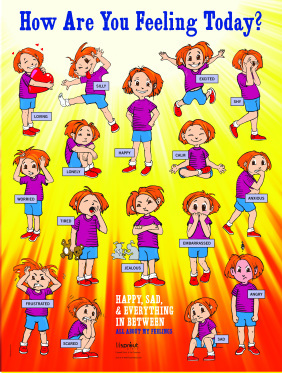 An Award Winning Children's Reference Book About Feelings! Attention: Early Childhood Educators | School Directors | Policy Makers! Introduce emotional literacy to your program and/or district! What Child Experts Are Saying About Happy, Sad, & Everything in Between! 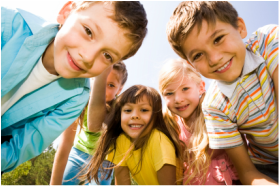 "Playing has been found to enhance children's cognitive, social, and physical development. Understanding their emotions is a particularly important part of the process of psychological development of young children. Parents and educators will find Happy, Sad, & Everything in Between an indispensable aide in promoting the emotional literacy of children. This book is a must read for caretakers of young children and a great addition to the classroom library of early childhood educators." Picture journaling for young children can give empowering experience through telling and recording of their experiences. Journaling also has valuable cognitive and emotional gain. Learn how to foster emotional literacy, an article by Dr. Im-Wang, featured on Education.com. Find out ways to make your traveling less stressful and prepare for those unchangeable factors like the security line. Learn essential set of skills called Executive Function, known to be heavily connected to school readiness and success at school. The importance of self care for parents! If you’re experiencing anxiety about being a parent, you’re certainly not alone. In fact, it’s pretty normal to have some doubts about your parenting skills or to worry about your children at times. After all, you’ve taken on the most difficult job in the world!